Another new to me author 😉 Its always a trip into the unexpected with authors who’s works I’ve not read, you never quite know what to expect. I had a great time reading this though, very emotional at times. Tony – he’s a 40 year old high functioning Asperger’s man. He’s incredibly talented in many ways and a very famous musician, composer and songwriter. He lives with his brother Angelo, who’s his day to day carer and manages his career. Tony is such a lovely man, honest as so many people with social disorders are, he can’t see why people get upset when he tells them things. Its wrong to lie so why don’t they like the truth? He’s got a point but that’s all part of social conditioning, and many people have issues that affect it, not just those with Asperger’s. As it happens my granddaughter had several problems when younger, some related to speech function, and she spent time in a speech and language unit where part of what she was taught was use of appropriate and inappropriate language. We were glad she couldn’t speak clearly when she announced loudly to people things like “you’re very fat, are you having a baby?” or “your hair is messy”…. It’s hard for people to understand its not deliberate rudeness, there’s no intention but just a statement of fact, and its easy to see where poor Tony was confused. Trina is a great nurse but being given all the rough tasks by her supervisor, as are all the dark coloured nurses. She’s had a tough past where her cheating ex left her with huge debts, and she’s struggling day to day for money. When Tony starts talking to her on his lunch break she at first is a bit wary, but he soon breaks through to get her trust, and they start a fantastic relationship where he just blossoms. 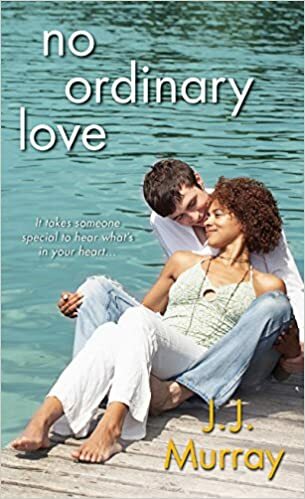 From a shy and cautious individual he takes hold of his nature and extends it, and with Trina’s help he’s got a chance at the future he dreamed of. There’s the issues of his fame though, the media who always want to drag people down, who look for the dirt in the most innocent of situations. Of course there’s his long time protector too, Angelo who wants to be certain Trina isn’t just some gold digger out to take advantage of Tony. Its a fabulous story, full of laughter and tears, a very emotional read. At times it is a little cheesy, and it would be great to think people and the press would act that way but cynic that I am I have my doubts…I found it very slow starting and put to one side on first time of reading, but picked it up a few days after and once I reached about 20% I was hooked, so invested with what Tony wanted, the wonderful people he met, the way his story was told so honestly. I don’t know any high functioning people with Asperger’s to the degree Tony has it, only one who’s got minor issues and didn’t discover that til she was older, and another who’s a bright person but sadly her mum has not encouraged her to see herself as anything but someone with Asperger’s who can’t do x,y,z….that’s really sad, as I think many people could have a more satisfying life if encouraged to reach full potential and not just treated as kids with disabilities. This isn’t a conventional romance, doesn’t follow the usual pattern of a meets b and they’re together, part after a conflict and then back for that HEA. This treads a path all of its own. If you want a book to make you think, to make you laugh, to make you cry and finish it feeling really satisfied then this is perfect. Stars: Five, a wonderful read.